This fan favorite treat is an exquisite way to celebrate a wedding or one year anniversary. These beautifully decorated chocolate strawberries come in an elegant gift box perfect for giving -- or getting. The Bride wears a gown of imported belgian white chocolate. 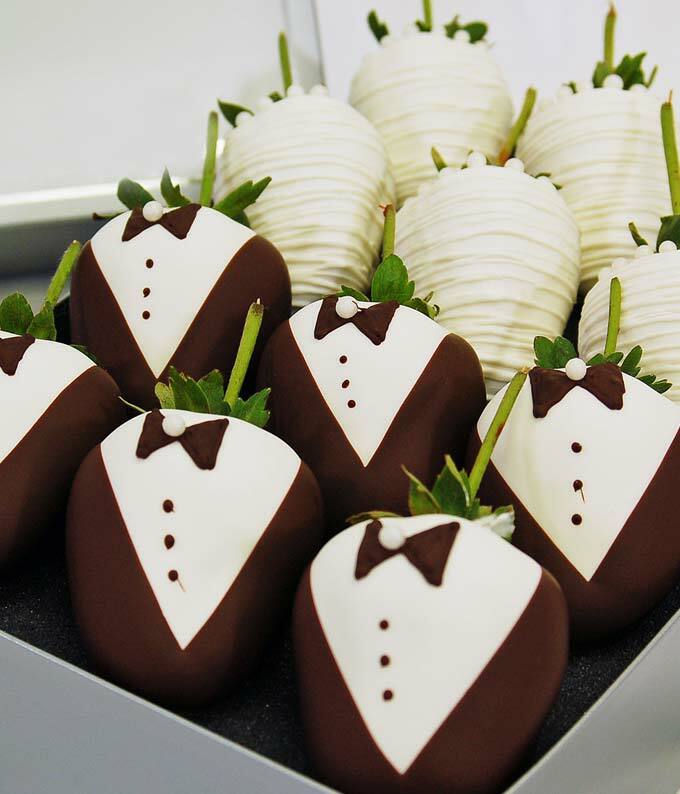 The groom pairs a tuxedo - white chocolate shirt with dark belgian chocolate vest and a jaunty bow tie. ALLERGEN ALERT: Product contains egg, milk, soy, wheat, peanuts, tree nuts and coconut. We recommend that those with food related allergies take the necessary precautions.